We love these shrimp cakes! 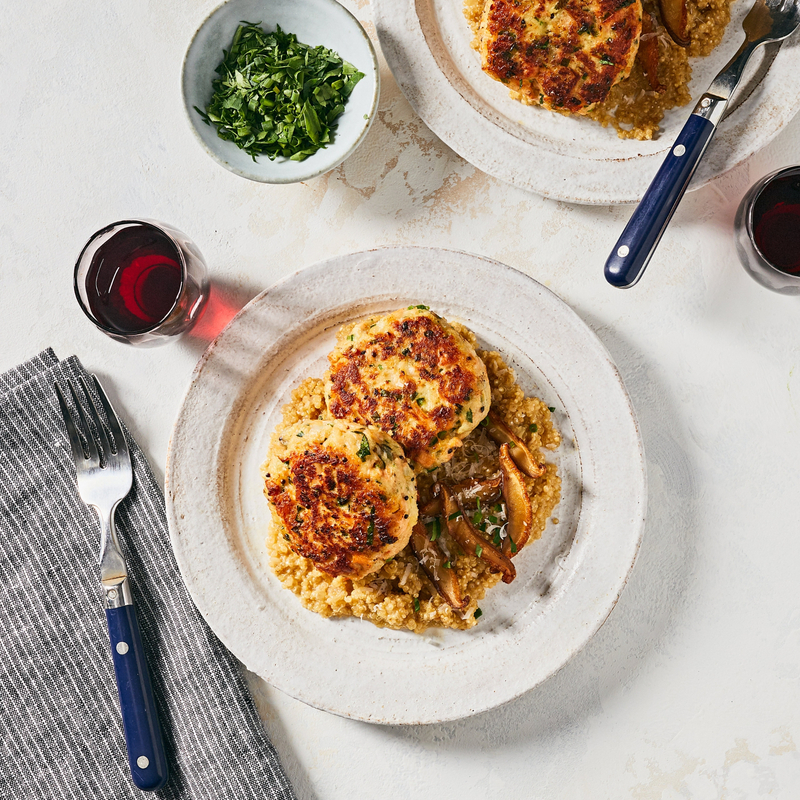 Sweet, local, seasonal parsnips help bind these flavorful herb-y cakes together. We pair these up with "quinotto", a Peruvian favorite - a risotto made with the ultimate superfood, quinoa. Here, we fold it together with nutty, sautéed shiitake mushrooms for a dish that replaces calories with flavor. Ingredients: Vegetable Stock, Shiitake Mushrooms, Shrimp, Quinoa, Parsnips, Salmon, Shallots, White Wine, Bread Crumbs, Canola Oil, Half and Half, Cage Free Egg, Jalapeno Pepper, Grass Fed Butter, Garlic Clove, Organic Cilantro, Parmesan Cheese, Organic Chives, Kosher Salt, Mustard Seeds, Organic Black Pepper. Contains: Eggs, Crustacean Shellfish, Milk, Fish, Wheat.